Coordinates parish programs (talks, films, etc. 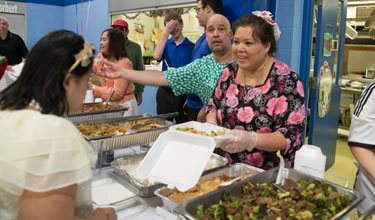 ), serving the spiritual needs of adult parishioners. Engaged couples are paired with a married couple for prayer, discussion, marriage preparation and discernment before making this life commitment. 12 Hours of Adoration - every Tuesday after 8am Mass until 7:30pm. Individuals and families commit to at least one specific hour per month. Tuesday 1:00pm in the Kaletta Room. We come together to praise God in song, prayer and scripture, and to intercede for the needs of our parish. Please join us. Thursday, 7:00pm, Daily Mass Chapel. Worship & Praise with Healing Service. All are welcome! are available after 5 PM Saturday & 11 a.m. 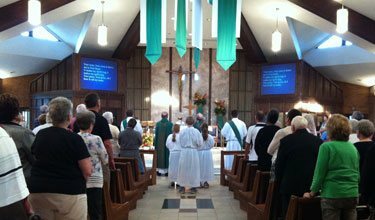 Masses the 1st & 3rd Sundays of each month to pray with you for your personal needs in the Daily Mass chapel.